Optometry office inside the Santa Rosa Costco | Bradley I. Hall, O.D., P.C. Bradley I. Hall, O.D., P.C. is the optometry office located inside the Santa Rosa Costco. As you enter the main entrance, turn to your right and our office is just past the Costco Optical. You do not need to be a Costco member to be examined in our optometry office. Call our office to schedule a convenient appointment for an eye exam. The map below shows our location and provides a link for directions. 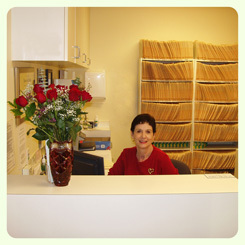 If you need further information or would like to schedule an eye exam, please call our office at (707) 570-2418.